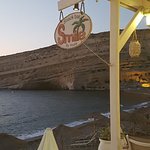 We chanced upon this beach bar having just arrived in Matala. We spent an hour drinking nice cold draught beers whilst it got dark watching the waves lap at the shore and listening to chilled background music. A lovely place for a beer. Cheers/Prost! 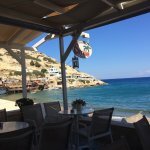 Best breakfast and coffees in Matala! Perfect location and fantastic view! The staff is very nice and friendly! 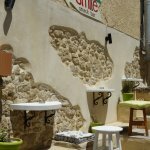 The best breakfast, omelettes and sandwiches in Matala! Nice cocktails and drinks! Very nice view anf staff! 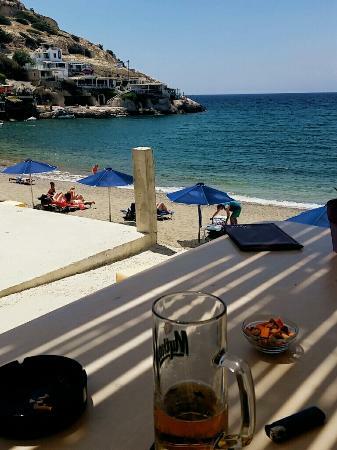 Perfect location with sea view, nice staff and the best red wine I had in Greece! We came back for multilpe times. Different from all the others around ! During the Fest in June the only place working from 8-00! Bless you! 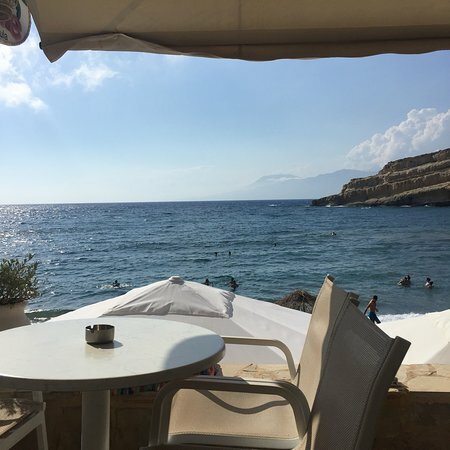 Will have my breakfast there all the time when im in Matala! Thank's for the tasty cocktails! 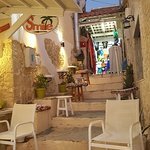 Aris and Voula run the best cafe in Matala. Breakfast, lunch, cocktails or coffee, they always serve with a Smile. 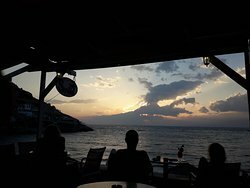 Staff are all lovely, food fantastic and at the end of the day, the best place to see the famous sunset. Definitely worth a visit. Best breakfast in matala just in front of the beach ! Really friendly staff, lovely smoothies and very tasty omellete. As the name says it brings a smile to your face just by being there :D Thank you very much for the lovely service and chilled atmosphere! Had lunch at Smile and the freshness of the salad, the tasty dolmades and friendly service did make us smile. 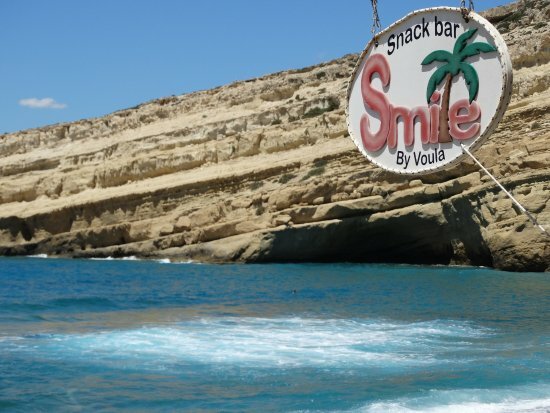 Get quick answers from Smile by Voula staff and past visitors.